"In 2017 I was at my lowest point." 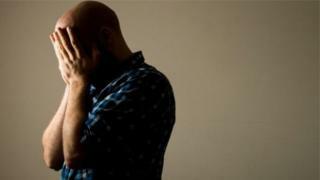 Robert Shanks is one of thousands of people in Northern Ireland with depression. "I was homeless, I eventually got into a hostel, which put me even lower," he told BBC News NI. "I wasn't prepared to meet anyone, talk to anyone. Therapy brought me out of my shell, it was the start of my recovery." A new study rolled out in Northern Ireland now aims to help people like Robert. It will research how much of depression and anxiety is down to DNA. The Genetic Links to Anxiety and Depression Study aims to collect saliva samples and questionnaires from 40,000 people across the UK - and they're looking for 2,000 people from Northern Ireland to take part. Media captionCould depression be in our genes? Professor Chérie Armour from Ulster University is leading the study in Northern Ireland. She explains: "The main aim is to better understand anxiety and depression so we can inform the development of new and innovative treatments. "To date we know that roughly 50% of people who have depression and anxiety respond to existing treatments and we just don't think that's good enough." The research starts online, where participants fill out a questionnaire. Their answers are assessed and then if eligible, they are sent out a DNA saliva test. Prof Armour added: "When we collect all of this data and have the best scientists working on developing those new treatments, then this study has real potential to make a significant impact into improving the quality of life of people suffering from the most common mental disorders experienced across the world." 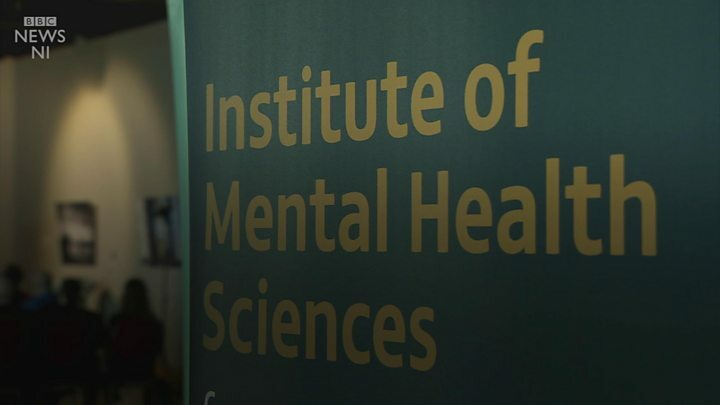 Local support organisation, Action Mental Health, is backing the study. Chief executive David Babbington said: "It's well researched that we have a 25% higher prevalence of mental health issues in NI. It's a toxic mix of the legacy of the Troubles, poverty and deprivation, and a lack of support over many years. "Because it's such a common issue this study will really help our understanding, whether it's environmental or genetic or a combination of the two. This will really provide the bedrock for really good foundational services going forward." Robert Shanks is still recovering but says treatment has made a dramatic change to his life and he hopes that participating in the GLAD study could help others living with depression and anxiety. "We take one step at a time, we're given daily goals, weekly goals and long-term goals. I've achieved my daily and weekly goals. I'm still working on my long-term goals," he explained. "Anybody that's looking help, grab it with both hands. This study should help vastly."